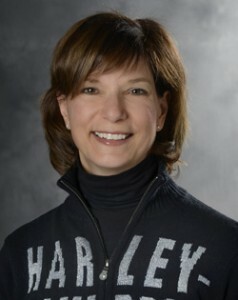 Joanne Bischmann guided Communications for Harley-Davidson Motor Company as well as oversaw the Business Aviation and Travel and Meeting Services functions for the company until her retirement in early 2019. Working with her team, she was responsible for shaping stakeholder perceptions and creating advocacy for the company through targeted communication of the Harley-Davidson story globally. This included all external corporate communications as well as employee, dealer, supplier, shareholder and community relations communications. She was a member of the company’s leadership team. Since joining the company in 1990, Bischmann served as Manager of Advertising and Promotions, Director of Marketing, VP of Marketing and VP of Licensing & Special Events. Bischmann was previously employed in advertising at Hoffman, York and Compton of Milwaukee. Bischmann is on the Board of Directors of Summerfest, billed as the world’s largest music festival, and on the Board of Directors of the Better Business Bureau of Wisconsin, Inc. and a member of the Brand Committee of the National Better Business Bureau. Joanne is also a member of the Marketing Committee of the Betty Brinn Children’s Museum in Milwaukee. Bischmann attended Washington University in St. Louis and graduated from the University of Colorado, Boulder with a Bachelor of Arts degree in Communication. Collaborating with other groups and associations to nurture the ethical and effective practice of public relations.